The decade would hold a celebration of the nation's 100th birthday barely ten years after a Civil War, but most remarkable was not the anniversary, but the intellectual and industrial progress that the USA would make. By 1876, the genius of its inventors was being noticed around the world. Previously thought as a former rube colony well beneath the nations of Europe, the United States was beginning to show not only their equality, but that soon they would surpass them. For the history of baseball, check out our friends at Stat Geek Baseball and Baseballevaluation where they put the stats from 1871 to today in context. 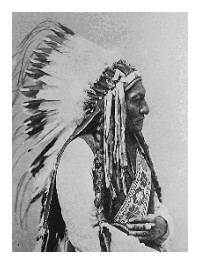 Chief Sitting Bull, (Tatonka-I-Yatanka) Hunkpapa Sioux, circa 1885. The Philadelphia Centennial Exhibition, although the 2nd true world's fair held in the U.S.A., was the first large scale expo hosted within the nation that announced its coming of age to foreign nations. This would continue with the Chicago World's Fair of 1893, the San Francisco World's Fairs of 1915 & 1939, the New York World's Fairs of 1939-1940 & 1964-1965 through the smaller fairs of New Orleans 1984. Two buildings remain of the Centennial Exhibition, the magnificent Memorial Hall, the art gallery of the fair, and now housing the new location of the Please Touch Museum, which includes a model of the fair in the basement and tours about the event, and the Oregon Building, which houses a restaurant. Photo above: Looking down the main avenue of the Philadelphia Centennial Exhibition with Memorial Hall in the left background. Published by James Cremer 1876. 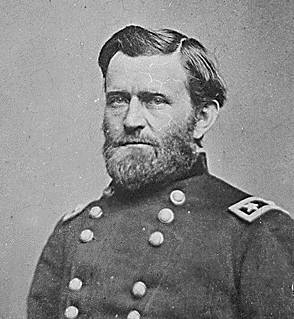 Photo above: President U.S. Grant. Courtesy National Archives. 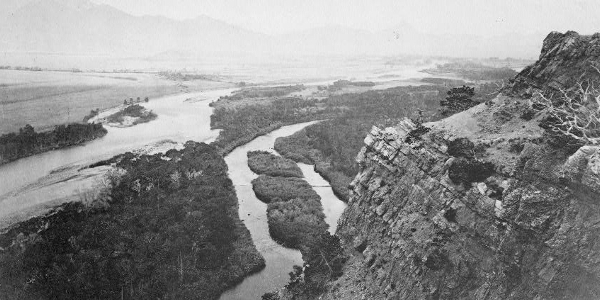 Right: Valley of the Yellowstone, 1871, by William Henry Jackson, Hayden Survey. Courtesy Library of Congress. Sponsor this page for $150 per year. Your banner or text ad can fill the space above. Click here to Sponsor the page and how to reserve your ad. January 10, 1870 - Standard Oil Company is incorporated byJohn D. Rockefeller. February 25, 1870 - The first African-American to be sworn into office in the United States Congress, Hiram Rhodes Revels, a Republican from Mississippi takes his place in the United States Senate. March 30, 1870 - The 15th Amendment to the Constitution is declared ratified by the Secretary of State. It gave the right to vote to black Americans. Race would officially no longer be a ban to voting rights. June 1, 1870 - The 1870 census indicates a national population of 38,558,371, an increase in the United States count of 22.6% over the 1860 census. This lower than normal increase of population in the 1800's shows the effect of the national strife of the Civil War and the tragic losses during that campaign. The geographic center of the U.S. population, for the second decade in a row, is in Ohio, 48 miles east by north of Cincinnati. July 15, 1870 - The last former state of the Confederacy, Georgia, is readmitted into the Union, and the Confederated States of America is officially dissolved. November 1, 1870 - The National Weather Service, known as the Weather Bureau, makes its first official meteorological forecast. "High winds at Chicago and Milwaukee... and along the Lakes." January 17, 1871 - Andrew Smith Hallidie patents an improvement in endless wire and rope ways for cable cars. Regular service on the Clay Street Hill cable railway in San Francisco would begin September 1, 1873. April 4, 1871 - The first professional baseball league, the National Association, debuts with a game between the Cleveland Forest Citys and the Fort Wayne Kekiongas. Fort Wayne won the initial official game 2 to 0. October 8, 1871 - The great fire of Chicago starts, in legend by a kick from Mrs. O'Leary's cow, although in actuality likely started in their cowshed by Daniel Sullivan who first reported the fire. The fire caused $196 million in damages. It burned 1.2 million acres of land, destroyed 17,450 buildings, killed 250 people, and left 90,000 homeless. Starting on the same day as the Chicago fire and overshadowed by its legend, a fire in Peshtigo, Wisconsin spreads across six counties in one day, and kills 1,200 to 2,500 people, making it the deadliest fire in United States history. October 27, 1871 - New York Mayor Boss Tweed is arrested. Thomas Nast, German-American caricaturist, who had skewed the Boss Tweed ring in his cartoons, is credited with an important role in his downfall. November 17, 1871 - The National Rifle Association is granted a charter by the State of New York. February 20, 1872 - In New York, the Metropolitan Museum of Art opens. March 1, 1872 - The world's first national park is established when President Grant signs legislation enabling the establishment of Yellowstone National Park in the states of Wyoming, Montana, and Idaho. May 22, 1872 - Civil rights are restored to citizens of the South, except for five hundred Confederate leaders, with the passage of the Amnesty Act of 1872 and its signing by President Ulysses S. Grant. October 21, 1872 - Kaiser Wilhelm I of Germany arbitrates the international boundary dispute, the Pig War, between the United States and Great Britain over the ownership of the straits between Washington Territory and Vancouver Island. He rules that San Juan Island is the property of the United States, ending twelve years of occupation by both armies. November 5, 1872 - Susan B. Anthony, women's suffragette, illegally casts a ballot at Rochester, New York in the presidential election to publicize the cause of a woman's right to vote. The reelection of Republican President Ulysses S. Grant is granted by a landslide Electoral College victory, with 286 cast for Grant. His opponent, Horace Greeley, had died prior to the Electoral College vote, on November 29. His votes were split among four individuals. July 21, 1873 - Jesse James and the James-Younger Gang engage in the first successful train robbery in the American West, taking three thousand dollars from the Rock Island Express at Adair, Iowa. August 4, 1873 - The Seventh Cavalry under the command of Lt. Colonel George Armstrong Custer, protecting a railroad survey party in Montana, engage the Sioux for the first time near the Tongue River in one minor clash of the Indian War. The Indian Wars, which had raged throughout 1873, saw the First Battle of the Stronghold on January 17, and the Second Battle of the Stronghold on April 15-17, and the end of the Modoc War on June 4 when Captain Jack was captured. May 23, 1873 - The first running of the Preakness Stakes horse race, second in the leg of today's Triple Crown, debuts in Baltimore, Maryland in front of a crowd of 12,000. The horse, Survivor, owned by John Chamberlain, won by ten lengths over six other horses in a time of 2:43, winning a victor's purse of $1,850. September 18, 1873 - An economic depression begins when the New York stock market crashed, setting off a financial panic that caused bank failures. The impact of the depression would continue for five years. December 15, 1873 - The Women's Crusade of 1873-74 is started when women in Fredonia, New York march against retail liquor dealers, leading to the creation of the Woman's Christian Temperance Union. In 1917, this movement would culminate in the 18th Amendment, prohibiting the sale of liquor in the United States, a ban that would last for sixteen years. January 1, 1874 - The Bronx is annexed by New York City. July 1, 1874 - The first United States zoo opens in Fairmount Park, Philadelphia. November 7, 1874 - The debut of the symbol of the Republican Party, the elephant, occurs when Thomas Nast prints a cartoon utilizing the symbol in Harper's Weekly. November, 25, 1874 - The U.S. Greenback Party is organized as a political organization by farmers who had been hurt financially in the Panic of 1873. March 1, 1875 - The Civil Rights Act, giving equal rights to blacks in jury duty and accommodation, is passed by the United States Congress. It would be overturned in 1883 by the U.S. Supreme Court. March 15, 1875 - The first cardinal in the United States is named by the papacy, John McCloskey, the New York archbishop. March 18, 1875 - Trade treaty approved by U.S. Senate with the island Kingdom of Hawaii granting the United States exclusive trading rights. May 17, 1875 - The first Kentucky Derby is run at Churchill Downs in Louisville, Kentucky. It would become the first leg of today's Triple Crown Series. The horse Aristides is the first winner. November 9, 1875 - Reporting on the Indian Wars, inspector E.C. Watkins pronounces that hundreds of Sioux and Cheyenne under Indian leaders Sitting Bull and Crazy Horse are openly hostile against the United States government, forming U.S. policy over the next year that would lead to battles such as Little Big Horn. December 4, 1875 - New York City politician Boss Tweed escapes from prison and migrates to Cuba, then Spain. He would be captured and returned to New York authorities on November 23, 1876. January 31, 1876 - Original date issued by the United States government ordering all Native Americans onto a system of reservations throughout the western lands of the United States. 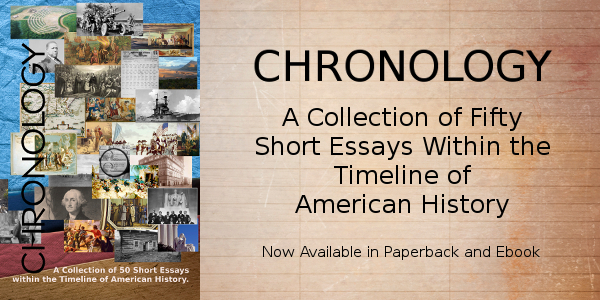 Although the date would be extended by President Grant, this issue would lead to the Great Sioux War of 1876. 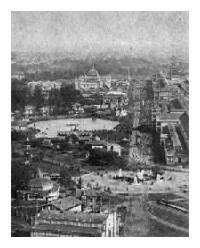 May 10, 1876 - The Philadelphia Centennial Exhibition, a world's fair meant to celebrate the 100th birthday of the United States opens on 285 acres in Fairmount Park, Philadelphia. Among its notable public showings include Alexander Graham Bell, with his newly patented telephone, Thomas Edison with the megaphone and phonograph, Westinghouse with the air brake, the first public showing of the top portion of the Statue of Liberty and the Corliss Engine, a steam engine so large it powered the entire exhibition and proved to the 34 nations and 20 colonies who exhibited that not only was the U.S.A. an equal on a par with European nations in manufactured goods, but had surpassed them in innovation. June 25-26, 1876 - The Battle of Little Big Horn occurs when Lt. Colonel George Custer and his 7th U.S. Cavalry engage the Sioux and Cheyenne Indians on the bluffs above the Little Big Horn River. All 264 members of the 7th Cavalry and Custer perish in the battle, the most complete rout in American military history. August 2, 1876 - Legislation is approved for the federal government to complete the privately sponsored, until that time, Washington Monument with an appropriation of $2 million. November 7, 1876 - Samuel J. Tilden, Democrat, outpolls Rutherford B. Hayes, Republican in the popular vote, but reverses the outcome in the Electoral College by one vote. The presidential election, however, would not be decided until March 2, 1877, when disputed votes in four states (Florida, Louisiana, Oregon, and South Carolina) force Congress to declare Hayes the victor, in large part after Republicans agree to end reconstruction in the South. November 10, 1876 - The Philadelphia Centennial Exhibition closes its exposition period after 159 days, not including Sundays, with a paid and free attendance of 8,095,349. Over 9.9 million people, including staff, saw the first large scale world's fair in the United States jump the United States into the upper echelon of nations with its exhibits and inventions. This exhibition was also credited with healing many of the wounds still left by the Civil War, binding the nation together with the effort. March 2, 1877 - A joint session of the U.S. Congress convenes on the presidential election dispute, reaching the Compromise of 1877 and electing Rutherford B. Hayes as President and William A. Wheeler as Vice President. They would be inaugurated two days later on March 4. Hayes would appoint Carl Schurz Secretary of the Interior, who began efforts to prevent forest destruction. May 6, 1877 - Indian leader of the Oglala Sioux, Crazy Horse, surrenders to the United States Army in Nebraska. His people had been weakened by cold and hunger. June 21, 1877 - The Molly Maguires, an Irish terrorist society in the minefields surrounding Scranton, Pennsylvania is broken up when eleven leaders are hung for murders of police and mine officials. June 17, 1877 - The Nez Perce War begins when Nez Perce Indians route two companies of United States Army cavalry in Idaho Territory near White Bird. This is the first battle of the war. On August 9 Colonel John Gibbon commands the 7th U.S. Infantry as they clash with Nez Perce Indians at the Battle of the Little Big Hole. This war was fought when the Nez Perce tribe attempted to avoid confinement within the reservation system. September 1, 1877 - Frederick Douglass, the ex-slave civil rights leader and abolitionist moved into his house, Cedar Hill, in the Anacostia section of Washington, D.C.
January 6, 1878 - American poet, Carl Sandburg, is born. He would win two Pulitzer prizes for poetry and one for his biography of Abraham Lincoln. January 28, 1878 - In New Haven, Connecticut, the first commercial telephone exchange is opened. February 18, 1878 - The Lincoln County War begins in New Mexico between two groups of wealthy businessmen, the ranchers and the Lincoln County general store. William Bonney, aka Billy the Kid, fought alongside the ranchers in a dispute over seizure of horses as a payment of an outstanding debt. February 19, 1878 - Thomas Edison patents the cylinder phonograph or tin foil phonograph. October 15, 1878 - The Edison Electric Company begins operation. February 15, 1879 - President Rutherford B. Hayes signs a bill that allowed female attorneys to argue in Supreme Court cases. February 22, 1879 - The first five and dime store is opened in Utica, New York by Frank W. Woolworth with $300 of borrowed money, priced all items at five cents and pioneered the concept of fixed prices vs. haggling. It would fail weeks later. Woolworth, along with his brother Charles Sumner Woolworth, opened a second store in Lancaster, Pennsylvania in April 1879, including ten cent items, making the second store a success. By their 1911 incorporation, they had 586 stores. March 14, 1879 - Albert Einstein, who would later revolutionize modern Physics, is born in Germany. May 30, 1879 - The Gilmore's Garden in New York City is renamed Madison Square Garden by William Henry Vanderbilt and opens to the public at 26th Street and Madison Avenue. September 1879 - Henry George advocates a single tax on land in his publication, "Progress and Poverty." 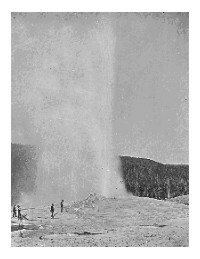 Old Faithful Geyser, Yellowstone National Park, circa 1872. By the Hayden Survey, William H. Jackson, Photographs. 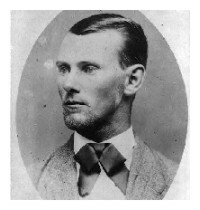 Jesse James, circa 1882. Courtesy Library of Congress. Get historical fiction about the son of Jesse James, nothing like his father, in Freeborn. Unique humor fiction. 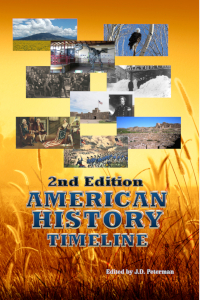 America's Best History where we take a look at the timeline of American History and the historic sites and national parks that hold that history within their lands. Photos courtesy of the Library of Congress, National Archives, National Park Service, americasbesthistory.com & its licensors.